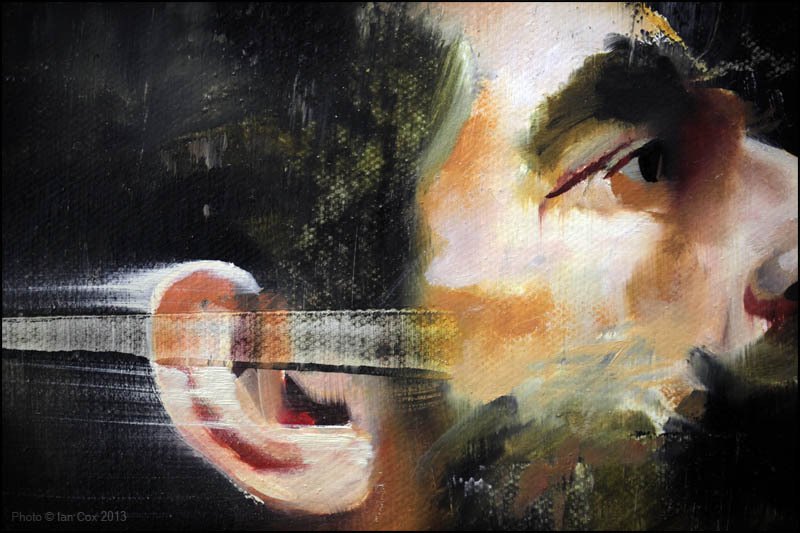 A Whole Lot of Trouble for a Little Bit of Win is the name of the next exhibition at The Outsiders in London and is set to feature Conor Harrington's sought-after study paintings. Conor has given his studies the name Morning Glories as he paints them daily, first thing upon arrival at his east London studio. These particular studies were painted during Conor's work on the painting A Whole Lot of Trouble for a Little Bit of Win itself, originally exhibited at Lazarides Rathbone's Bedlam exhibition in October 2012. The painting and its accompanying works from the same series, Whose World is This? and For Want of a Kingdom, the Battle was Lost, concern the transition of power from the West to new superpowers in the East, specifically China. The show is planned to include over 20 studies on canvas board and framed, plus larger studies on paper. The exhibition runs from 1st February — 9th March 2013.